There has been a lot of scrutiny over the credibility and honesty of some of the awards in the digital marketing industry over the years and in some cases, I believe there is justification for these claims. However, the Search Awards seem to have taken a different approach to their awards over the past couple of years and have become much more transparent compared to some of the other awards in our industry. 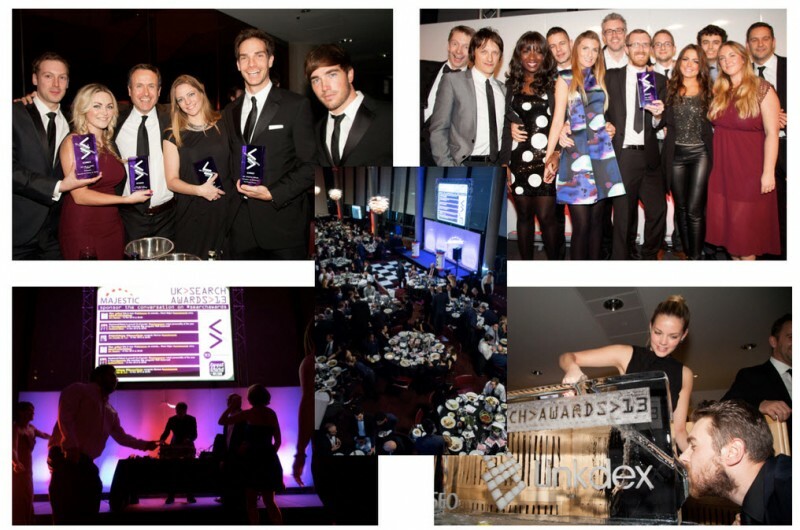 I had the pleasure of attending the UK Search Awards ceremony at the tail end of 2014. The agency I work for (Koozai) had a project shortlisted for the Best Use of Search in the Finance Industry. Unfortunately, we didn’t win the category but hey, it’s the taking part that counts and being shortlisted amongst some incredible projects was amazing; we were very proud of the team involved. Anyway, the reason for this post is because I saw the Search Awards going above and beyond last year when it comes to being transparent in how they reached the decision they did. I have spoken to a number of the judges, the Search Awards themselves and winners and shortlists from some of the categories and want to share my thoughts on why I think other awards should follow some of the methods they have put in place. There is always going to be more that could be done to highlight transparency but falling short of sharing all the actual results, I think the Search Awards are on the right track. The judges are a panel of leading industry experts in their own right with a mix coming from in-house brands, agencies and freelance. Some of the judges have been on the panel since the Search Awards started so are seasoned pros when it comes to analysing award entries. One of the negative remarks towards the Search Awards in previous years was that the judging panel was heavily weighted with agency experts. This put some agencies off entering projects as they were uncomfortable sharing results and strategies with so many of their competitors. For the 2014 Search Awards, there was a real mix: 28% Agency, 50% In-house Brands and 22% Freelance. From speaking to a number of the judges, it is very clear just how much time they all invest in reading, analysing and scoring award entries. It isn’t just a few hours work and then they are done with it. They judge the awards because they have a real passion for the search industry and get excited at the prospect of being part of and seeing some amazing campaigns get the credit they deserve. The Search Awards do not pay judges. Some awards cost hundreds of pounds to enter and I really don’t know what you get for your money! The Search Awards entry fee is around £95 and considering just how much effort goes into arranging the award ceremony (see below section for more on this) it is clear that they do invest a good proportion of that money in the night itself. Other awards often just ask for a nomination of a company name and do not request this level of detail making the judging process very subjective. With the sheer number of categories and the high volume of award entries it would be impossible for every judge to judge every category. Categories get increasingly competitive each year with some categories last year receiving as many as 60 entries! The Search Awards split the judges by their core areas of expertise. The Best Use of SEO would not be judged by someone whose expertise was in PPC and vice versa. The judges go through a very robust two-step process. The first step is the pre-scoring element where each entry is allocated to a panel of four or five judges who give each element of the application a score individually against the robust criteria. The pre-scores are used to determine the shortlist. Judges submit their scores and they are then compiled and divided by the number of judges who judged creating an average score for each entry. These average scores determine the shortlist with up to the top eight scoring entries creating the shortlists. The next step is the debate/collaborative decision. The judges either meet in person or dial in to a video conference to debate the shortlists. During this judging session judges will sense check and debate all data including checking rankings, analytics, statistics, performance etc. The judges will then discuss and decide on a winner in each category from the shortlist. All collaborative judging sessions are filmed or recorded in case of query so they can be referred to in future if required. One of the biggest parts of the awards (in particular the Search Awards) is the award ceremony itself. Not only is it an opportunity for like-minded individuals to get together over a nice meal and a few drinks; it is also a chance for the industry to get a real insight into the different campaigns that get produced. A lot of hard work and effort goes into arranging the award night and each one that I have been to, I have not been let down. Each time the ceremony gets bigger and better and I am looking forward to seeing what the next ones brings. Some awards in the industry don’t even have ceremonies. The winners are picked and announced on their website and that’s about it! Earlier I mentioned that the judging sessions are filmed. The Search Awards produce a short video with one of the judges explaining why an entry won the award it did. These videos are shared on the award ceremony night and are also made available after the event to watch online. This was a new initiative in 2014; the feedback I have heard from people who entered but did not win was very positive as it gave them an insight into what they needed to improve on next time in order to get closer to winning. Finally, in the UK, we also have the UK Search Conference which is an opportunity for delegates to hear the story and data behind the winning campaigns and an opportunity to hear from the judges what makes a winning entry. I went along to the most recent UK Search Conference in January and it really was insightful and thought provoking to hear from the award winners and what they did to help their clients. Finally, I want to share with you 10 things that kept coming up at the UK Search Awards from the judges to give you an idea of what you need to do when you next enter a project for an award. Results will be looked into; don’t lie! The EU Search Awards are coming up in April; you have until 13th February to submit your entry so what are you waiting for….! 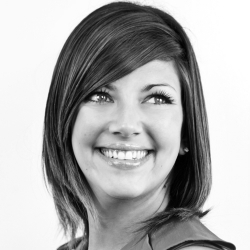 Samantha Noble is the Marketing Director at Koozai, a Digital Marketing Agency. She is also the Co-Chief Editor for State of Digital working alongside Bas and the rest of the Editorial Team.